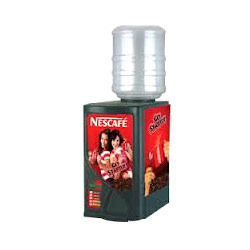 Our organization is instrumental in offering a wide range of Nescafe Vending Machines. Under this range, we are offering Nescafe Instant Coffee Vending Machines, Nescafe Cappuccino, 12 Option Nescafe, 10 Option Coffee, 8 Option Nescafe, Nescafe Cappuccino Model, 6 Option, 4 Option, 3 Option, 2 Option Nescafe Coffee Vending Machines. To ensure easy to maintain and optimum performance, all these products are manufactured using optimum-grade raw-material sourced from the famed vendors of the market. Our product-line is available in various sizes, designs and custom-built models. Backed by dexterous professionals, we have been able to provide the customers with a remarkable assortment of Nescafe Instant Vending Machines. Keeping in mind the variegated requirements of our clients, we are offering this range in various design and specifications. Our reliable vendors manufacture these products making use of qualitative raw-material and cutting-edge technologies to ensure the flawless performance. 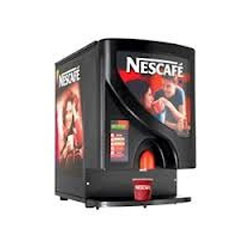 Being a customer focused organization, we are engaged in offering a wide range of Nescafe Instant Coffee Vending Machines. All these machines are made using latest machines and quality-tested raw material sourced from the famed vendors of the market. 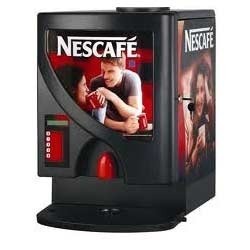 Carving a niche for the organization, we are engaged in putting forth the clients a commendable assortment of 4 Option Nescafe Vending Machine. These vending machines are designed and developed in accordance with the industry set quality parameters. Our vendors design this range utilizing best grade raw material and cutting-edge technologies under the supervision of experienced team of professionals. With the help of our dexterous team of professionals, we have been able to offer the clients 3 Option Nescafe Coffee Vending Machines. For ensuring the flawless performance of this offered range of machines, our vendors are making use of superior grade raw-material and latest technologies equipped at their sound manufacturing unit. In order to ensure that we are offering a qualitative range of product-line, all the products are rigorously examined on various quality norms. 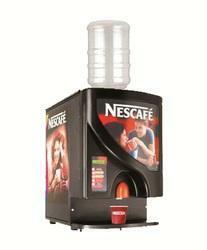 Leveraging on our industrial experience, we are able to provide patrons with flawless 2 Option Nescafe Coffee Vending Machines. Our product-line is designed and manufactured by our expert vendors who manufacture them using quality raw material. Our product-line is available in various sizes, designs and custom-build models, in order to meet the variegated requirements of our patrons. 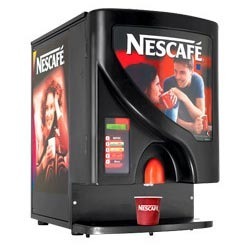 Over the years of experience in the industry, we have been able to provide the customers with a remarkable assortment of 8 Option Nescafe Vending Machines. These machines are designed and manufactured using optimum-grade raw-material, in adherence with the industry set quality parameters. 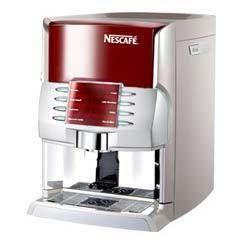 Our organization is instrumental in offering a wide range of Nescafe Cappuccino Vending Machines. Our product-line is made by our trusted set of vendors using optimum-grade raw-material and globally advanced technologies, in compliance with the international quality parameters. Post production, our offered range is stringently examined on various quality parameters. 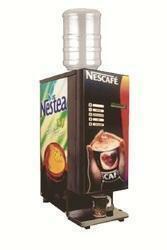 Looking for Nescafe Vending Machines ?